This category is devoted to the people and families who lived, worked or played in Ballinrobe, its neighbouring towns and the surrounding townlands. You might find an article on an individual or whole families here. Some are well-known; some are not. Some are historical figures and some are alive today. We welcome suggestions for other people to include. If you have a memory of people or a person, please help us record it here. All too often we leave things on the 'long finger' and then their story will be lost forever! Please take just a little time to add either a story or a comment and leave a record for future generations. "Running home - to Ballinrobe" John Finn's song and video clip about the town in which he grew up - Ballinrobe. Another of Ballinrobe's American soldiers. Ballinrobe - Race Course History - Part 1. Recognise any of these young men? Do you know anybody in this rare photo? Nora O'Donnell, Anne O'Donnell, N. Gleeson, Josie O'Donnell, Ruby Wynne, Christy Power, Micko Sweeney, Gus Lydon, Bernie O'Keefe, T. Hession, Mary Burke. I.C.A. - Coming of Age. With the kind permission of 'The Mayo News'. "You are the man who breaks stones on your chest and takes pins and swallows them" said the Justice. And 69th Pa. Volunteer Infantry "Pennsylvania's Gallant 69th"
Cróna Esler caught up with Billy. Taken from: Irish Tourist Association Survey, 1945 - ITA/3/10 (87) - Mayo Co. Library, Castlebar. Would you like to acknowledge An Irish Woman? Maynooth records destroyed in 1940? Does anybody know anything about this image? "One of the most dangerous characters in the country"
McTigue's Ballinrobe and Sgt. Chris O'Dowd MM. Captured - do you remember this image or the man? Featuring work by local broadcaster and writer Liam Horan. In this our first audio clip Liam recalls his memories of 'Flat Out' and Ballinrobe Mart. Maureen has strong family roots in Ballinrobe. Will we see him at the Ballinrobe Races? O'Connors - Ballinrobe "Western Pride" now "Irish Pride"
Action speaks "louder than any words" particularly for this Ballinrobe man! Sticks sold on Bridge Street. 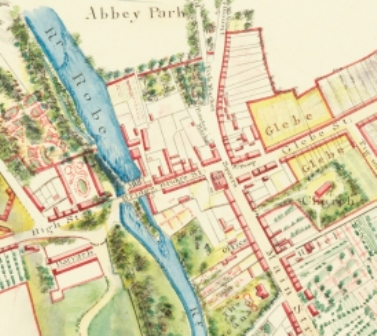 Were any of the 25 orphans from Ballinrobe Workhouse your ancestors?